"The World's Best" CBS Talent Show to Feature Oksana's Music! | Oksana Management Group, Inc.
“The World’s Best” CBS Talent Show to Feature Oksana’s Music! Home“The World’s Best” CBS Talent Show to Feature Oksana’s Music! Group’s electrifying hip-hop routine creatively fuses traditional pop-and-lock movements with mind-bending choreography to follow pianist’s every note with laser precision. Los Angeles, CA – February 1, 2019 – Oksana™ Kolesnikova, renowned pianist, composer and creative mind behind the Los Angeles-based Oksana™ Management Group (OMG, Inc.), recently added another pride-endowed rung to her impressive roster of accomplishments when her hauntingly beautiful rendition of Beethoven’s third movement of Sonata 14 in C Sharp Minor (Moonlight Sonata) was chosen by the South Korean dance troupe Emotional Line for an upcoming performance at The World’s Best talent competition. The group’s electrifying routine creatively fuses traditional pop-and-lock movements associated with hip-hop dance styles with mind-bending choreography to follow Kolesnikova’s every note with laser precision. 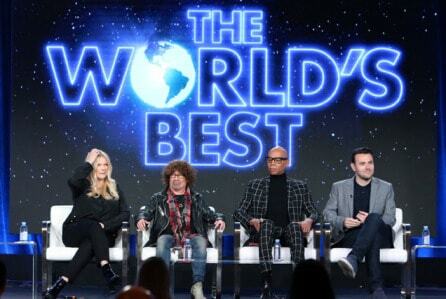 The World’s Best is a reality talent competition television series produced by Mark Burnett and Mike Darnell featuring international performers being evaluated by three judges – Drew Barrymore, RuPaul and Faith Hill – as well as an international panel of 50 experts in various fields of entertainment. The series is set to premiere on CBS on February 3 following its telecast of Super Bowl LIII and will air worldwide. Emotional Line recently gave spectators a taste of their incredible talent when they electrified a mesmerized audience with a show-stopping routine during Korea Dance Delight Volume 4, a street dance performance competition, breaking into a hip-hop-style set – but to the backdrop of Kolesnikova’s beautiful piano key strokes. “When we hear about dancers performing a ‘hip-hop’ dance routine, we expect to see specific movements choreographed to the big bass beats of, well, hip-hop music,” muses Kolesnikova about Emotional Line’s well-received performance at Korea Dance Delight. “Of course, such thumping beats are a hip-hop staple that blend perfectly with aggressive, over-the-top dance moves, but Emotional Line proved that a hip-hop dance routine can be pulled off even when it’s not paired to its musical namesake. Here is additional reference and review of the same performance by Emotional Line on Inspire More website. Watch ‘Emotional Line’ Dance Routine!